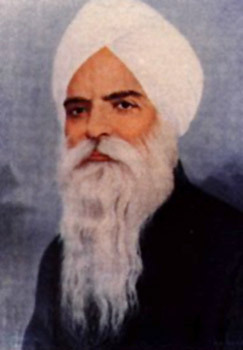 Born in 1872, in Amritsar, Bhai Vir Singh Ji was the eldest of Dr. Charan Singh’s three sons. The family traced its ancestry to Diwan Kaura Mal, who rose to the position of vice-governor of Multan, under Nawab Mir Mu’ln ul-Mulk, with the title of Maharaja Bahadur. His grandfather, Kahn Singh (1788–1878), spent his entire youth in monasteries at Haridwar and Amritsar, acquiring training in traditional Sikh learning. At the age of forty, he got married. Adept in Sanskrit and Braj as well as in the oriental systems of medicine (such as Ayurveda, Siddha and Yunani), Kahn Singh passed on his interests to his only son, Dr. Charan Singh. 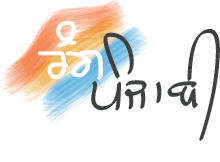 Apart from being a Braj poet, Punjabi prose-writer, musicologist and lexicographer, Dr. Charan Singh took an active interest in the affairs of the Sikh community, then experiencing a new urge for restoration as well as for change. Vir Singh had the benefit of both the traditional indigenous learning as well as of modern English education. He learnt Sikh scripture as well as Persian, Urdu and Sanskrit. He then joined the Church Mission School, Amritsar and took his matriculation examination in 1891 and stood first all over in the district. At school, the conversion of some of the students proved a crucial experience which strengthened his own religious conviction. From the Christian missionaries’ emphasis on literary resources, he learnt how efficacious the written word could be as a means of informing and influencing a person’s innermost being. Through his English courses, he acquired familiarity with modern literary forms, especially short lyric. While still at school, Vir Singh was married at the age of seventeen to Chatar Kaur, the daughter of Narain Singh of Amritsar. He died at Amritsar on 10 June 1957.